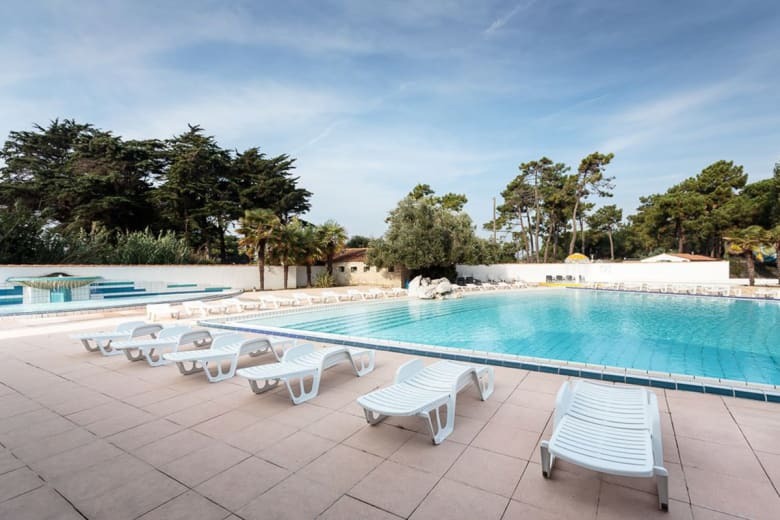 The 4-star Les Grenettes campsite accommodates holidaymakers on the island of Île de Ré, 200 metres from the beach of the same name, in the commune of Sainte Marie de Ré. A member of the Sea Green group, this campsite has a multitude of benefits spread over its 7-hectare grounds. These include an aquatic park, modern and luxury holiday rentals, sports grounds, shops and services and other facilities. Everything is done to offer holidaymakers the best stay in Charente Maritime! This campsite has been established barely 200 metres from the Les Grenettes beach, to which it moreover owes its name. 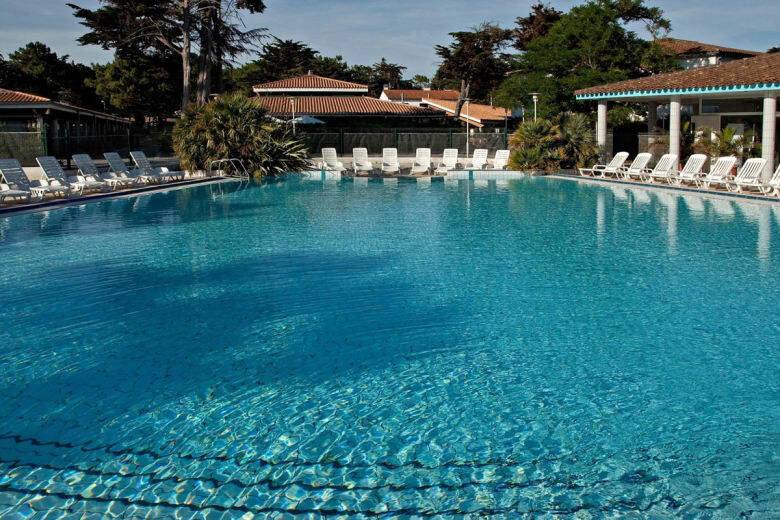 On the south-east coast of the Île de Ré, 4 kilometres from the town centre of Sainte Marie de Ré, 6 km from the tourist resort of La Flotte and 8 km from the old fortified town of Saint Martin de Ré, this campsite enjoys one of this most ideal locations on the most frequented island of the Charente Maritime coast. 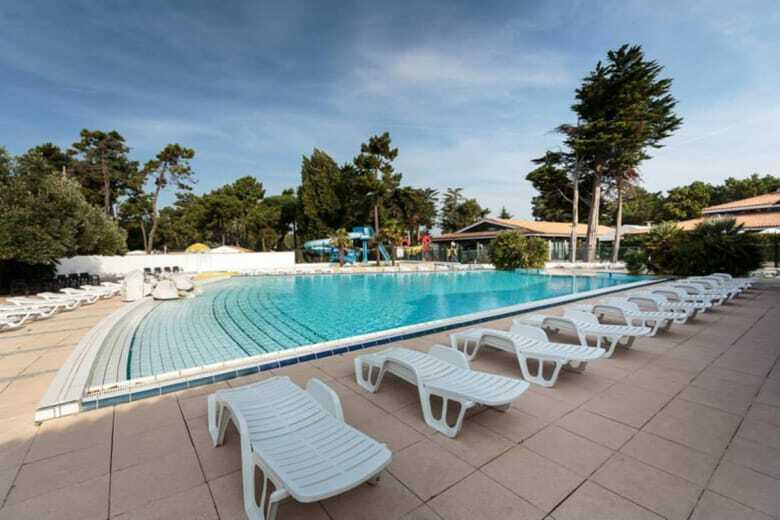 Having moved upmarket as the years have passed, this Sainte Marie de Ré campsite has just obtained its 4th star at the beginning of the 2018 season. The campsite extends over a surface area of 7 hectares, scattered with a multitude of maritime pines and has a total of 224 pitches. The division of the latter is cleverly done, with on the one hand 70 pitches intended to accommodate campers and their tents, caravans and camper vans, and other plots occupied by luxury holiday rental accommodation. This accommodation takes the form of mobile homes, including the most top-of-the range in the Supermercure range. All offer luxury and quality facilities to those who set up camp there for a weekend or longer holidays. Even better, to satisfy the needs and wants of holidaymakers, the campsite has numerous on-site shops and services. Each year, the team at Les Grenettes bends over backwards to ensure and guarantee holidaymakers the best stay. Holidaymakers can take advantage of a restaurant open throughout the year, a bar-ice-cream seller having a buffet menu, a takeaway service and a brasserie open from June to September. They can also benefit from a grocery open during the high season with a bakery and newspaper stand, an automatic launderette and access to the Wi-Fi network from reception. Lastly, once settled in, holidaymakers can make the most of their stay to relax and have fun. 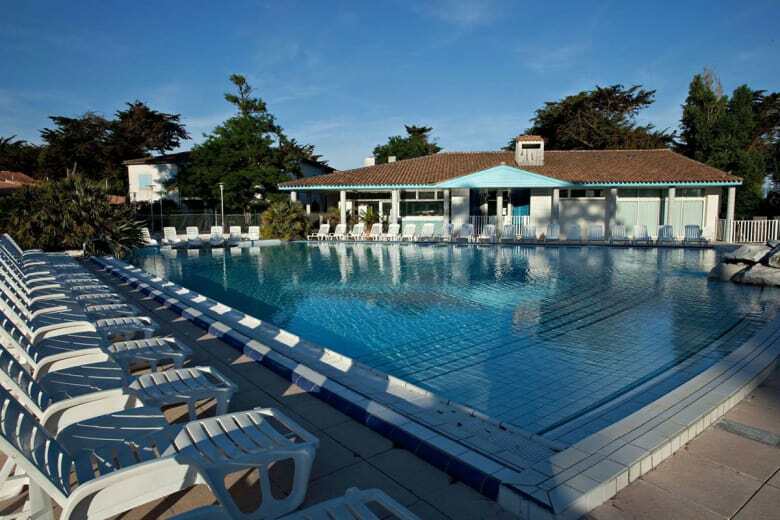 Various recreational facilities have been laid out with this aim in mind, such as the aquatic park on the Les Grenettes campsite. This is made up of 2 large outdoor swimming pools, which are heated during the high season (the months of July and August), a paddling pool with a magical play mushroom and a large tubular water slide. The campsite also has 2 tennis courts, an area for playing boules, a volleyball court, ping-pong tables and several children’s playgrounds, as well as a bicycle hire service. An extremely useful service when you know that there are no less than 100 kilometres of cycle track that have been laid out on the Île de Ré! For lovers of a morning jog, getting a tan, making sand castles, kite-flying or even a sunset walk, the Les Grenettes beach is easily accessible from the campsite. A pedestrian path runs across the dunes and enables you to quickly get to the beach, using the path leading to and from the campsite. An entire range of activities and entertainment take place each week during the high season. Some intended for children, others intended for adults and teenagers, these activities and entertainment enable everyone to spend convivial and enjoyable times, during their stay on the Île de Ré. Lastly, we should stress that excursions and cruises are offered to campers by the Les Grenettes partners. Go to the campsite reception for further information and book tickets enabling you to ride the waves around the Île d’Aix, Fort Boyard and the Île d’Oléron islands, and even off the port of La Rochelle.